Kids channel Nick is planning to grow its original programming to 500 hours in FY19. The kids broadcaster is entering a new genre of magic-comedy with its new IP ‘Rudra – Boom Chik Chik Boom’. Produced by Greengold Animation ‘Rudra – Boom Chik Chik Boom’ premieres on 11 June. The show will air Monday-Friday at 7:25 pm with repeats at 11 am and 2 pm. The show is written by Niraj Vikram while Gulzaar Saab has scripted lyrics for the title track of the show. 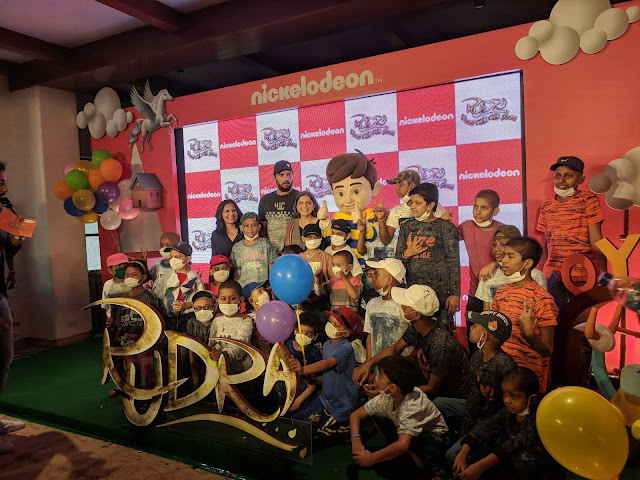 The title song will be sung by Arhaan Hussain while the music is created by Simaap Sen.
‘Rudra – Boom Chik Chik Boom’ is Nick’s fifth IP after Pakdam Pakdai, Motu Patlu, Shiva, and Gattu Battu. The protagonist of the show is a nine-year-old boy who learns magic and fights villains.